When you’re travelling with little ones, it can feel like you need to pack everything but the kitchen sink. But due to luggage restrictions, you might find you need to be a little more selective when it comes to what you can take and what you can afford to leave behind. We’ve picked out our top products to help you travel light this summer. Sterilising bottles on the go can be a bit of a hassle but packing a few Microwave Bottle Steriliser Bags can make all the difference. All you need to do is put your bottle in the bag and pop it into the microwave. Your baby will have a perfectly sterilised bottle every time, and because each bag is resusable up to 20 times, you really can leave the steriliser at home. Travel light by taking just what you need. Our lightweight Wipes Cases are a simple way to lighten the load – leave brick-sized packs of wipes at home and take a smaller amount in your changing bag. 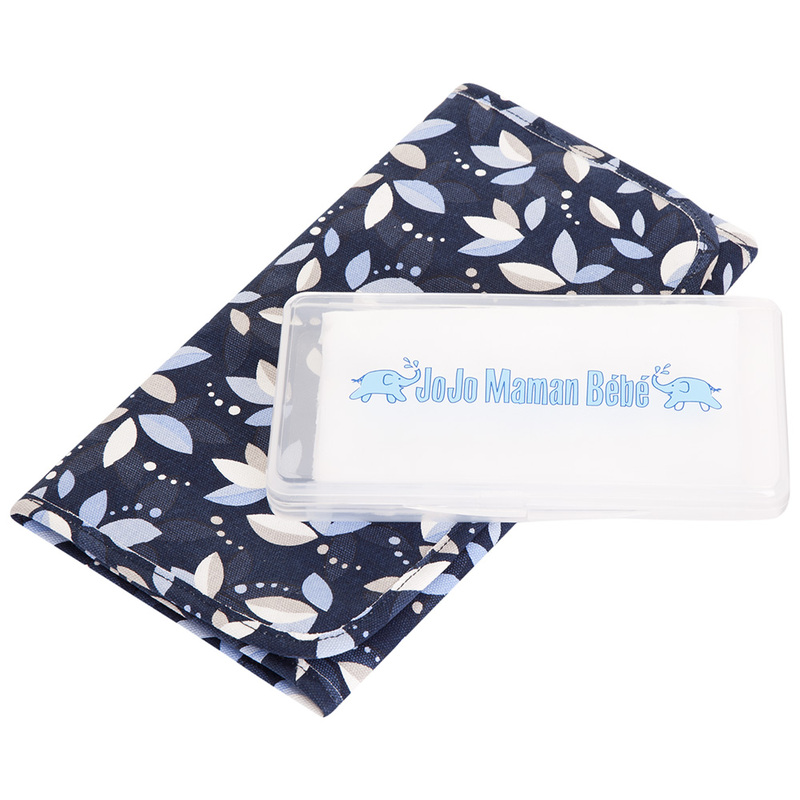 The cases hold enough wipes for a few days away and keep them fresh and moist. Don’t forgot to pack a Mini Changing Mat which provides a perfect area to change your baby’s nappy but takes up next to no space in your bag. We can’t guarantee they won’t make a mess but a few handy accessories can help with damage control! Take our Super Lightweight Pocket Highchair everywhere you go – it will turn almost any chair into an impromptu highchair and packs away small enough to fit into your pocket. The key to saving space in your suitcase is to pack multi-use products. If your little ones are learning to swim, why not pack a Floatsuit? A swimsuit with removable floats, it really is a useful 2-in-1 product. The individual floats can be taken out, tailoring the buoyancy to your child’s needs. Although it’s summer, we can’t guarantee the sun will shine every day! Protect kids from the rain with a Pack-Away Rain Jacket. It packs away into a teeny-weeny bag but opens up into a fully-functional lightweight rain jacket to keep children dry.